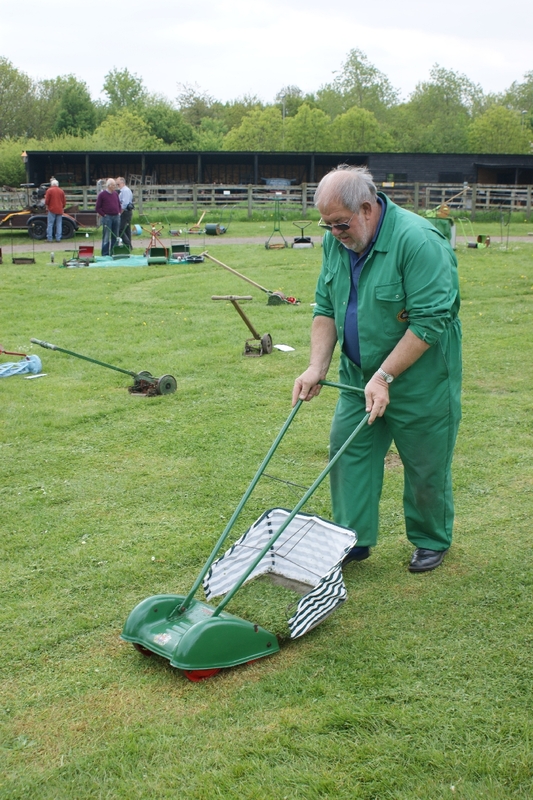 The Ransomes Conquest was made during the 1950s with a futuristic streamlined design. Underneath the tortoise-shell cover the mowing mechanism is unusual in having sidewheels driving the cutter by short chains. Although plenty of these mowers must have been made, we rarely see them at events, and it's even rarer to see them restored. This particular example was demonstrated by Alan Cullen and won this year's prize for the best working machine at the rally. The prize was presented by another stalwart member, Bill Outram.